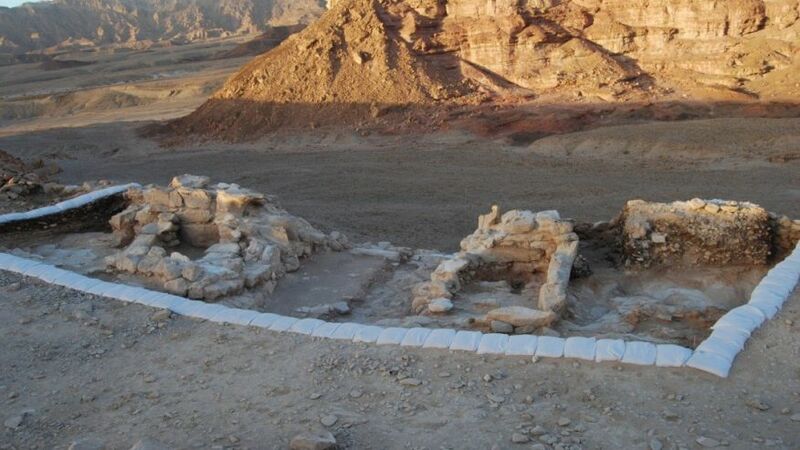 TIMNA VALLEY, Israel – Archaeologists have discovered a 3,000-year-old military fortification in Israel that dates to the reign of King Solomon and provides evidence that the biblical king ruled over an advanced, wealthy kingdom. Writing in “The Journal of Archaeological Science: Reports,” a team of researchers from Tel Aviv University describe recent findings from Israel’s Timna Valley, which is located in far southern Israel. Thanks to its exceptionally dry climate, many ancient structures and artifacts dating to Bible times have been exquisitely preserved there. The Tel Aviv University researchers were particularly interested in the remains of a gatehouse from the 10th century B.C. that was associated with copper ore mines. The “astonishing preservation” of the gatehouse gives archaeologists a unique window into the culture and customs of a “sophisticated ancient society,” a statement from Tel Aviv University said. Livestock pens, a variety of seeds and grains, animal bone fragments, and other artifacts and materials were also unearthed at the site. “While there is no explicit description of ‘King Solomon’s mines’ in the Old Testament, there are references to military conflicts between Israel and the Edomites in the Arava Valley,” said Dr. Erez Ben-Yosef, one of the leaders of the Timna Valley research team. Rich in copper ore, the Timna Valley has long been the site of extensive mining operations. To date, over 10,000 mining shafts have been found in the area. “An advanced military fortification—a well-defined gatehouse complex—unearthed recently at Timna, including donkey stables, points to the community’s highly-organized defense system and significant dependence on long-distance trade,” the university’s statement announced. Although the Bible never mentions mines in the times of King Solomon, it does describe his extraordinary wealth. Archaeology continues to confirm and bring to life the Bible’s historical accounts, Ben-Yosef commented.